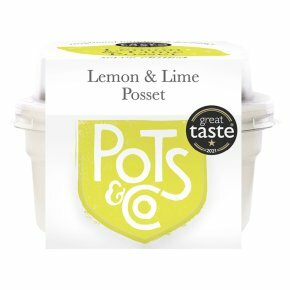 Pots & Co is dedicated to producing hand-made, gourmet food in beautiful ceramic pots that travel from fridge/freezer to oven to table with ease. We use the best quality ingredients and all our products are 100% natural, preservative-free. Mix and match with the rest of our range: Baked Chocolate & Orange Pot, Sticky Toffee Pudding and Caramelised Apple Crumble. Serve chilled Best enjoyed with a teaspoon It makes all the difference.